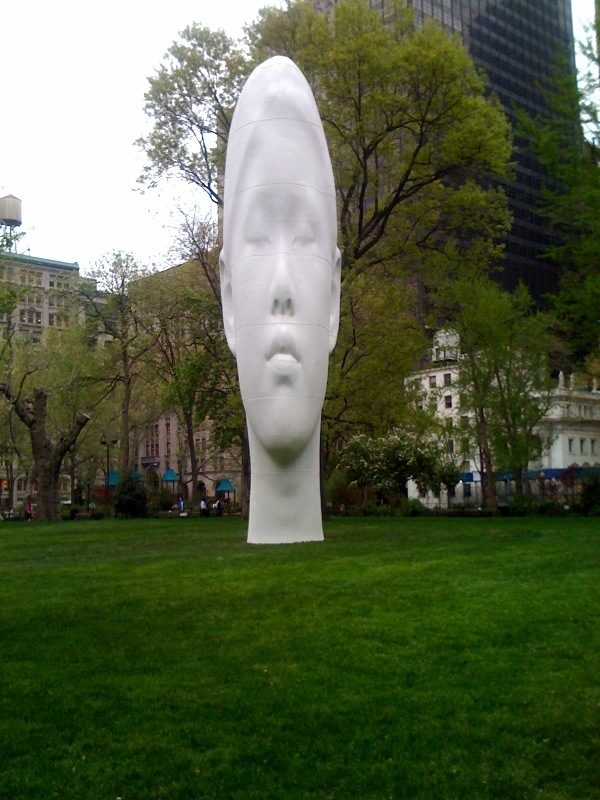 Go check the head sculpture at Madison Square Park (23rd & Broadway). If you can, try and drive by it in a vehicle – it’s disorienting. Get some Shake Shack too. I saw this thing in July… it had a unnatural(in a beautiful way) look to it. A sterile white with an slightly elongated face made the head more universal.Also, at night You could see the biggest white head New York has to offer from the Empire state building!